Thanks so much for listening to the Bob Harden Show – celebrating over seven years on the internet! Today we visit with Dr. Allen Weiss, the President and CEO on NCH Healthcare, about the disparity of healthcare quality in Florida as opposed to healthcare on the Paradise Coast. 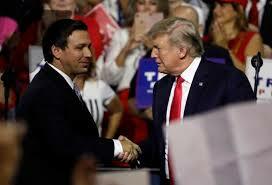 Our State Representative Byron Donalds and I discuss President Trump’s rally last night as well as the Florida mid-term elections. We visit with Orthopedic Surgeon Dr. George Markovich about the need for reform of healthcare economics. We also get an update from Naples Mayor Bill Barnett. Please join us for tomorrow’s show. We have terrific guests lined up including the co-founder of the Florida Citizens Alliance Keith Flaugh, local public education activist David Bolduc, and the author of “The Devil at Our Doorstep” Dave Bego.